Some Security Tips By Elite Locksmiths Team! When it comes to the security of your home and/or business, nothing could be more important for the overall safety of you, your family and your co-workers/employees. 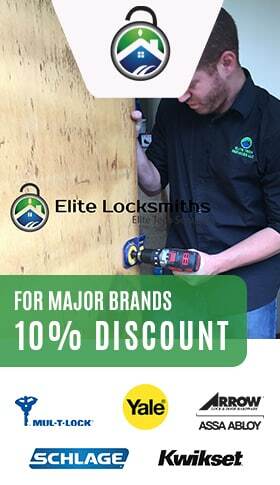 This is why, at Elite Locksmiths, we make it a point to offer security tips that may help you to remain safe. However, for additional safety tips that are tailored to your current situation, don’t hesitate to give us a call. We’ve been serving the Seattle and Washington State area for a number of years – helping our clients, in emergencies and assisting them with their home and business security needs. Here are 15 security tips that we suggest you go over and see if their particular advice applies to you. In addition to these security suggestions, remember that we offer 24/7 service with a 20-minute response time! Setting up your residence or business with an alarm is one of the most common ways of securing your home or business. However, here’s another idea. Have a loud whistle at your bedside, at night. If, for some reason, a burglar is able to defeat your alarm at home, then you can create a loud noise with your whistle, once you hear any sounds that indicate a break in. This can be enough to scare off burglars or, at the very least, alert your neighbors that something is wrong. You might also want to let a trusted neighbor know what your whistle actually signifies. Other types of noise devices are available, but a whistle is still the most effective. If you’ve seen the movie, then you know what we’re talking about. However, having that type of “panic room” can be really expensive. But you don’t have to spend that type of money in order to have your own safe haven. For a relatively low cost, you can set up your own room by first buying a solid door that has a heavy duty deadbolt. The room should also contain a cell phone and charger (with a charger battery backup, in case the power is cut). Of course, make sure your panic room has good phone reception and you can then call a 911 number from it (you don’t need special coverage, either). Make sure that the cell phone is not one that you use anywhere else. Obviously, a criminal would rather remain hidden. While good outdoor lighting is an excellent deterrent, it won’t work well if there is a place for a criminal to hide, out of the light. The best way to avoid this is to make sure bushes/shrubs are trimmed somewhere below the bottom of your lower outside windows. Also, make sure that bushes are not planted so that there is a space behind them where a person can hide. Trees should also be trimmed. If a neighbor’s landscaping is a problem, be courteous when pointing this out and you may even consider offering to do, or paying for, the landscaping, yourself. Alarms come in many different forms and offer different levels of protection. The higher end alarms will contact the police, directly, along with the security company and you, as well. Thus, three parties are contacted. This will ensure a faster response than just a simple alarm. Make sure that the alarm uses a cell phone contact, since a burglar could cut the phone lines to your home. The next best thing is an alarm that just makes a loud noise. These need to be loud and hidden. This way, there is less of a chance that a burglar can take out the alarm mechanism. When it comes to outside lights, you will want to avoid assisting a burglar by providing the light they need in order to disable phone lines, alarms, etc. Still, however, you will want to see what’s going on, outside, should you need check out a suspicious noise. There is an excellent compromise in the form of motion sensor lights. Make sure, though that there is a battery backup, should you lose power to your home. You will also want to have flashlights (with new/charged batteries) located in your home, near your bed, and other convenient locations. A home, with an electrically operated garage door, can present a major weak point, when it comes to your home’s security. This is because anyone, on the outside, can open your garage door by using a wire coat hanger to disconnect your garage door’s motor. This would be done by hooking the rope that is normally used to disengage the door, from the electric door motor. Defeating this way of entrance can be done by looping a zip tie around the release latch. In an emergency, a hard tug could be made, in order to break the zip tie. There are other DIY methods that you can find online. If you’re going to leave your doors unlocked, make sure that you can immediately respond to anything that would be able to enter those doors. For example, leaving an outside entrance door unlocked, while taking a shower, would be a bad move. That’s because the noise from the shower could mask the sounds of an intruder breaking in. If you’re not going to be able to hear the sounds coming through the outside doors (sleep, headphones, etc. ), then you should lock all the outside doors. This will limit the efforts of a more desperate burglar, who might decide to rob you, when you are preoccupied. Although spare keys can be handy, when it comes to preventing home lockouts, they can also create a security issue. The most important thing to consider, with spare keys, is where to hide them. You don’t want to place one under a mat or in a fake rock. There are many more imaginative places to put your spare key, such as behind a fence or any other place that isn’t able to be seen by the public. However, once you use your spare key, you will need to find another hiding place, in case someone saw you, when you removed the key. You should also be careful when you give a spare key to another person. Make sure that they will be just as cautious as you are with your own keys. Within your own comfort zone, get to know who your neighbors are. A good neighbor could even be trusted with a spare key. You may also discover that a certain neighbor might be the first place that you would direct the police to, in the event of a robbery. In any case, it’s good to know your neighbors, since this can alert you, if a stranger is in the immediate area. This can not only possibly assist you, but a neighbor, as well. Watching out for each other, in a neighborhood, is an excellent way of keeping everyone safe. Should you discover that your key is missing, you need to consider changing any lock that the key would fit into, as soon as possible. Of course, you will want to do a thorough search for your key, first, starting with the location where you remember having your key, last. If the last time you remember having your key is somewhere in your home, then the risk would be less than if you lost your key out in public. If you believe that you may find your key, on your premises soon, then rekeying your lock(s) may be preferable to changing the entire lock. In this case, rekeying is a good idea, in case someone else finds your key before you do and may have replaced it where they originally found it. Beyond having the companionship of a dog (sorry – cats don’t work, here), there is the advantage of having a way to be alerted, if someone is at the door. In addition, having a dog is similar to having a 24/7 roommate, who only goes out for walks with you or to take care of necessary sanitary concerns. Another advantage is the fact that a burglar may know how to disable an alarm, but will not attempt to target a home with a dog. Also, it isn’t necessary to have an aggressive dog – just one that barks when someone is on your property. Just make sure that you have the commitment and means to care for your pet, before obtaining one. Besides guarding your home, a dog can also make you feel good, as well. If you own your home, or if you have permission in your renter’s contract to upgrade your locks, then it is highly suggested that you do so. A lock that costs $50 – $80 is not likely to give you much safety. 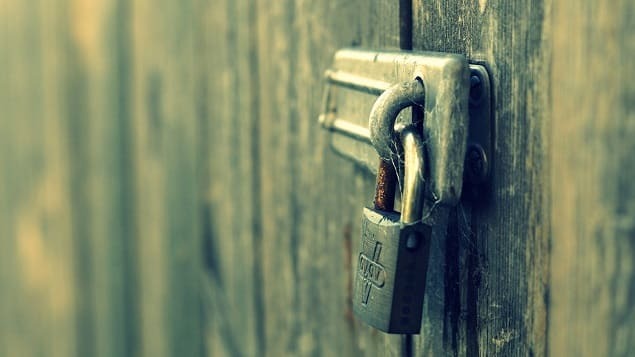 At the very least, you can keep some of your current hardware and just upgrade the core of the lock with one that has a higher security rating. Cheap locks can be opened without having to use any lock-picking tools or techniques. Taking the time to upgrade your lock security is a very good investment. There are different types of high-security locks available and contacting a locksmith can be the best way in order to understand your options. This way, you can get the most security for your money. Nighttime can have a dual effect, when it comes to making it easier for criminals. On one hand, you have a situation in which it’s hard for you to see outside, in or order to observe what’s going on and if there’s any suspicious activity. On the other hand, it allows criminals to better see what’s going on inside your home. Just make sure that your blinds are consistent with your activities, whether your home or not. In other words, if your blinds are closed when you’re not home, at night, then make sure that they are closed when you are home, at night. The reason for this rests with the fact that criminals like to scout neighborhoods, to see what the resident’s routines are and then take note of any changes in a routine. This may signify that someone is not home and that home is susceptible for a robbery. This also pertains to the habit of shutting curtains when you leave your home and keeping them open, when you are home. Making sure that the curtains are closed may be a sacrifice, when it comes to ambiance and appearances, but it will increase your level of safety. If you happen to be living by yourself, it’s best not to advertise that fact, since it may make you more of a target for criminal activity. You can avoid this in a couple of ways. First, you probably don’t want to let all your co-workers know that you’re living alone. Other methods include the message that you may be leaving on your answering machine/service, if you have a home landline. “Sorry, we’re not available now” as opposed to, “Sorry, I’m not available now”. Any mailbox or public apartment area, that posts your name, should use the format, (your last name) Residence, instead of your first and last name. For example; “Jones Residence” as opposed to “Jane Jones”. This is a very serious step to take, in order to protect your safety. Our website and company are not recommending that you confront an intruder, directly. However, there are those who have been trained in the use of various weapons (law enforcement, military, etc.) and can use and store these safely. Guns are probably the least effective choice due to the fact that the muzzle flash can produce a blinding light in a dark room. In addition, they are deadly and require regular cleaning. Other types of weapons can include martial arts devices, such as sai, swords, etc. These require extensive martial arts training, to use effectively, and should not be used by those who are not experts. You need to seriously evaluate your skills and aptitude, prior to having a weapon available in your home. Making sure that you have secured your safety is something that more and more people are considering these days. However, there are different things that you may do in order to make your home a safer place to live, that only require a few steps and/or adjustments. This is especially true when it come to changing locks and initiating alarm systems. While this article points out some of the ways to increase the safety of a home, we don’t want anyone to become paranoid over their safety or engage in any illegal activities. This article is for educational purposes only.